Coldfall has been supporting and working with Educaid for over 12 years now. It is an important part of our citizenship learning to develop an understanding of life in different parts of the world and to do what we can to help those less fortunate than ourselves. We have also learnt a great deal form the Educaid schools about living in community and the important human values of caring for each other. We have taken part in many fundraising projects including running a Coldfall marathon. In June of 2018 a team of 6 Coldfall staff had the privelege of going to Sierra Leon to see the work of Educaid first hand. Below is a video of the trip and at the end is another video we recieved from Educaid that visually explains how the money we have raised has benefited the lives of Educaid students. 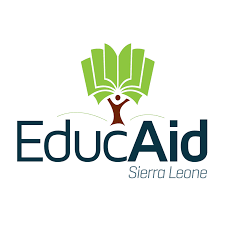 Educaid is a charity working in Sierra Leone providing a high quality education for its children, who are amongst the most deprived in the world. There are currently 8 EducAid primary and secondary schools and their latest venture is developing a tertiary education programme to enable students to obtain a degree. One of our core aims for our children at Coldfall is to enable them to become active, committed global citizens able to make a real difference in the world.